Horsehay gained its name as it was originally a staging post and feeding station for the pack horses pulling Ironstone from the canal head at Ketley to the Coalbrookdale works. In the early 1750s Abraham Darby II decided that he needed additional capacity, above that from Coal brookdale, fore cast iron, so decided to build a new furnace at Horsehay, which at the time was little more than a farm. On May 5 1755 the new blast furnace was first fired. A second furnace was opened in 1757. At this time pig iron production was averaging at 90tons per month. In 1779 a rail link was built from the works to the Severn Wharfs at Ironbridge. This is considered by many to be the world's first commercial railway. In 1781 a forge was built to enable the iron to be worked on site, and by 1790, the first rolling mill in the world was built to enable rolled boiler plates to be made. By this time production had increased to 260tons per month and various products were being made, from bridges to plates for ships. In fact the plates for the SS Great Britain, (1843), the world's first Iron Ship were rolled at the Horsehay works. Production grew through the early 1800s to a peak of 1300 tons per month. It was at this time that the company employed one of its most famous of workers, Mr. William Ball, the Shropshire giant, a man of 36 stone, who later toured the country by the name of John Bull. In fact his wife and he owned what is now the chip shop, where they sold sweets and candy rock. By 1870 the furnaces were blown out and the depression in the iron trade led to the closure of the forges and rolling mills at the works. In 1886 the works was taken over by the Simpsons who further developed the heavy engineering side of the business. The Simpsons owned the works for many years until the early 1960s when it was purchased by the Joseph Adamson Company of Hyde, Cheshire. 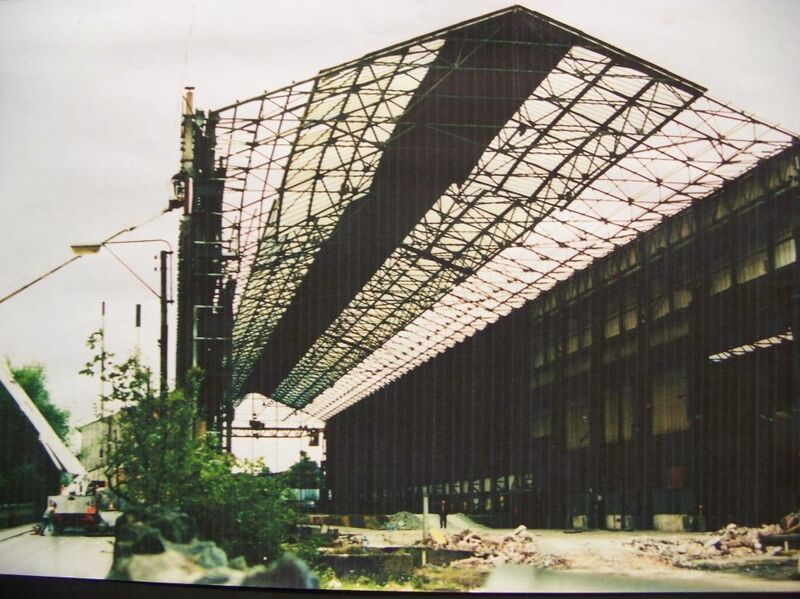 During this time it had built a reputation as being the best heavy engineering company in the UK, supplying products to the steel and Railway industries, including overhead cranes, bridges and turntables. During my time at the company, virtually the entire production was focused on supplying overhead travelling cranes for the world wide steel industry. In my 17 years with the company, they supplied cranes to India, Australia, New Zealand, China, Chile, Yugoslavia, Sudan, USA and South Africa; as well as every steel plant in the UK, which included Port Talbot, Llanwern, Velindre, Round Oak, Patent Shaft, Ravenscraig, Teesside, Ebber Vale, Workington and Scunthorpe. During 2nd World War, the works manufactured landing craft, radar antenna and discs.The assembly shop was built in about 1950, to assemble the steelworks cranes. Until this time everything was assembled outdoors; ice and snow was brushed off to get to work. By the mid 70s the steel industry in the UK was in decline so the company moved into new markets such as power generation and the offshore industry. During this period the company supplied specialist lifting equipment to Shell, Conoco and Sparrows for offshore use and BNFL, GEC, UKAEA and CEGB for the nuclear and power generation industries. Grain unloaders were also made for China. Also, in 1970, they had a Royalty agreement with Ederer of Seattle to produce cranes for nuclear power plants incorporating safety hoists, which were installed at Berkeley, Hinckley Point, Sizewell B and at the nuclear fuel reprocessing plant at Sellafield. To give an idea of the scale of products made on the site around 1980 the company designed and supplied a 500 ton ladle crane to Australian Iron and Steel at Port Kembla. When laid out the four girder structure was exactly half the size of the playing area of Wembley. In 1981 the company supplied a coking crane to Immingham. As the works had lost the rail link to the main line some months earlier, the girders had to be transported by road. The total length including the tractor cab unit and the rear bogies was 156 foot; at the time the longest load ever delivered by road in the UK. Large crane girders could be up to 10 foot high, 6 foot wide and up to 100 foot long and could weigh up to 80 tons. Sizewell B is the most recent nuclear power station built in the UK. Horsehay supplied a 200 ton capacity lifting crane, fitted with safety hoist. Crane used in construction of station and used to handle machine for fuelling the nuclear reactor. The crane travelled around the interior of the dome. 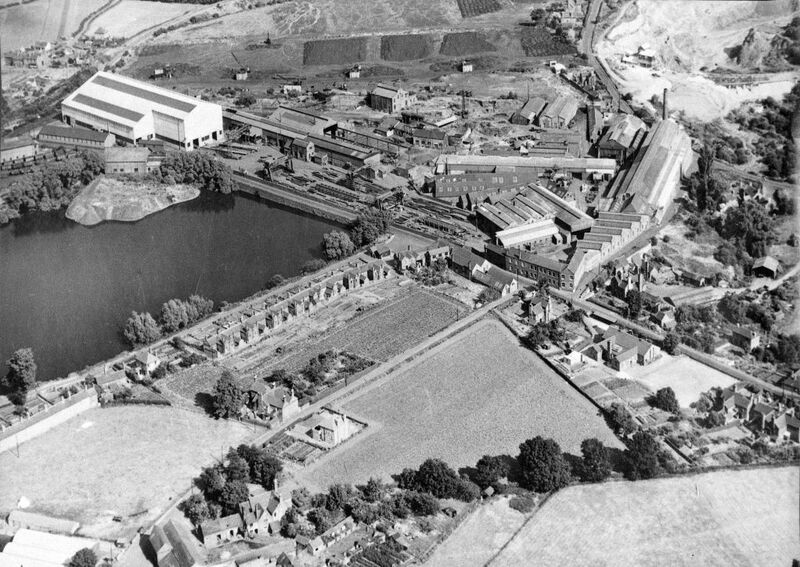 In December 1984, Norcross announced its decision to close the plant and relocate the business to another plant at Ripley in Derbyshire. 300 staff were to be made redundant. I was commercial manager at the time, effectively the general manager, and left to run the plant down, as the then MD Mr. John Exon, was sent to head up the operation at Ripley. Former MD Mr. Colin Griffiths made strong representations to IDC to try and get them to help save the company but they refused to help as they said it was not in the town’s development area. The majority of the employees left at the end of March 1985, although a team of about 40, with various skills stayed on until Dec 1985 finishing off projects that they didn't have the knowledge to do at Ripley. The last project being a specialist grab unit for Berkeley power station. It was during these last months that John Lovett and I did get Norcross to at least leave a legacy to the people of Horsehay when they agreed to let the old works canteen become the village hall for a peppercorn rent of £1.00 a year. I have many great memories of my time at Horsehay Works, but one will last with me forever. I was in a project close out meeting at GEC in Leicester. We had supplied two specialist cranes to Hartlepool and Heysham Nuclear Power Stations, flask handlers. Both had been supplied on time and on budget (unusual for us). Their Technical Director at the time, a tough man called Bruce Smith, came into the meeting and shook my hand. I was surprised to say the least. He then said, "I was told before I placed this order on you, that AB Cranes were the Rolls Royce of crane makers, I can now confirm that you are"
There will never be any doubt in my mind Norcross closed the wrong site.